Our Strength & Conditioning coaches either a 4 year Bachelor’s degree or a 6 year Master’s degree. Our coaches hold only the most respected certifications from top 5 certifying bodies in the United States. All of our trainers stay up to date on our continuing education units for our certifying bodies. Our staff has combined for over 20,000 hours of internship experience with youth, collegiate and professional athletes. Combined we have over 40 years of experience training athletes for just about any sport on every surface. Sign-up in our e-mail link to have someone contact you, e-mail us or call us to register for your first Functional Movement Screen (FMS). We ask that every athlete signs up for FMS first. The MS allows us to better prescribe a workout for you or your athletes athletic needs. After the first screen we will recommend what classes to take based on needs and goals. 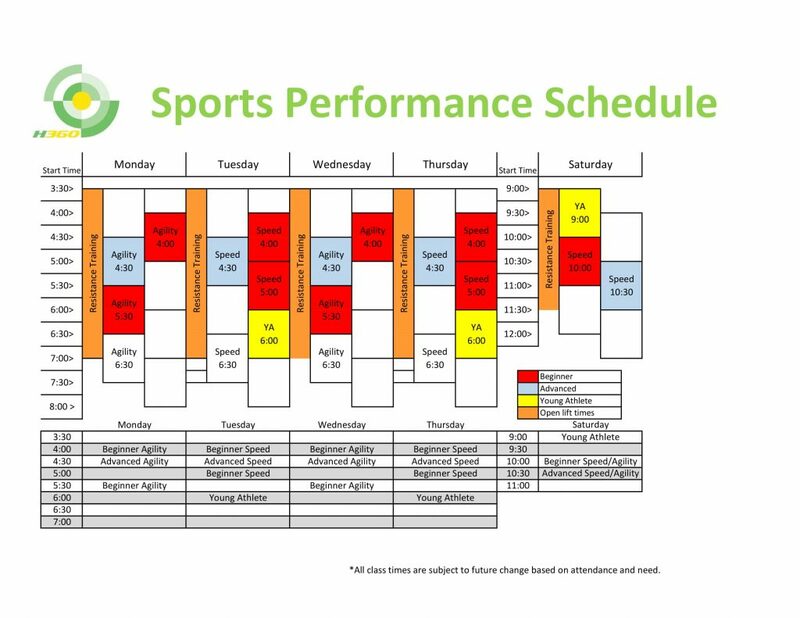 Group Athlete Training – Each athlete will have their own individualized workout that is based on their FMS results and progress or development in the training program. Athletes will be placed into training categories based on their previous training experience, FMS results, and age. A 7 Step Screen that takes about 10-15 minutes. It’s used to identify weak links or dysfunction in a person and movement patterns. An introductory class where athletes learn the basics of all training. Seeing a bunch of words and acronyms can get confusing, but if you can read it you can understand it. If we move better and create better patterns we decrease the likelihood of getting injured. Used to develop the coordinated power or explosiveness of an athlete. To simplify it we do Power, Push & Pull. The focus of a lift day is not to strength certain muscle groups, but to increase the strength of the body as a whole unit. To improve the explosive properties of the muscles through Jump training. The goal of speed training is to have the arms and legs working as a unit in one direction, “Forward”. Here we have the difference between poor acceleration and good acceleration. The first athlete looks like he is getting a better lean than the second, but when you look at the body as a whole unit it’s not. Bending at the waist and not driving the hips through is a common problem and is likely where power is lost during acceleration. While this is something we have done for many years someone finally researched it. The goal of agility training is to change how the body responds and adapts to stimuli so it moves better and more efficiently. This graph clearly defines our goals and how training changes as an athlete matures and improves. Image by Rhodri, L., Read, P., Oliver, J., Meyers, R., Nimphius, S. & Jeffreys, I.